You want to learn music production, but there have been some roadblocks that have stopped you from diving in headfirst. You might find yourself struggling to fit in music production around your schedule. Maybe you’re finding grasping music production concepts a bit difficult on your own. Or maybe you’ve been straight-up putting it off, and for way too long. If you ticked a mental “YES” to any of these statements, then the 6-week fast-tracked edition of our “Produce Music” course might just be the beacon of musical hope you’re looking for. Let’s break down the core differences between the two Produce Music courses. There’s the original 46-week, and the 6-week summer intensive, which will fast track your learning to fit right into your summer holidays. Our flagship, 46-week Produce Music course runs one month on, one month off, with classes being held once a week. The summer intensive course covers everything the 46-week course does, but the main difference is that students are attending every day, not just once a week. You’ll take the exact same classes as students in the 46-week course, and you have a full year to complete all your online learnings and projects. The classes are condensed, but the course itself isn’t! And if you’re an interstate or international student hopeful, this condensed course was made with you in mind. “Many of our students were flying in from all over the world to take our courses and we thought we’d put together a more condensed version for them. 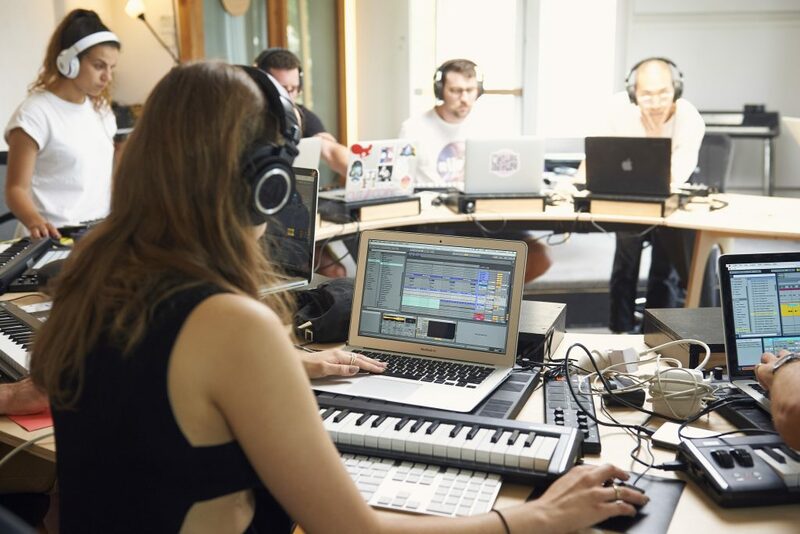 That was the genesis of this whole thing, we quickly realised after first announcing the course that this fast-tracked approach made learning music production possible for so many interstate and international people,” says Liveschool manager, Nadine Marjan. That was precisely the case with Produce Music Intensive alumni, Pheonix Manson. “Liveschool had been on my radar for about a year before I applied, and during this time I was looking at doing the Produce Music year-long course. I had decided that the duration of the course was too impractical for me because it would require that I move from Melbourne back to Sydney for the whole year. But when I saw that Liveschool was offering the same content condensed into a single course over summer, I jumped on the opportunity,” says Pheonix. If taking in a tonne of new production concepts every day for 6 weeks straight sounds challenging; that’s because it will be. But it’s also an incredible chance to finally just zone in on music for a committed amount of time – and if you place yourself in the procrastinator category, you’ll pat yourself on the back later for making the commitment. If you’ve been watching Youtube tutorials that send your focus to-and-fro without feeling like you’re making progress – don’t worry, you’re not alone at all. For people who prefer structured learning, or even just need that extra push, climbing this steep learning curve on your own can seem endless. Sometimes, taking the extra step is worth it if you want to advance your skills and make better music, sooner. “At that point, I had spent the past 3 years teaching myself Ableton Live at home with tutorials as well as reading the user manual on their website. Doing that was really beneficial to help develop a foundation for my technical skills. I felt like it got to a point where I needed to ask a really knowledgeable person my questions face-to-face, especially when it came to questions on the creative aspect of producing – there is no user manual for that. The instructors at Liveschool had great answers to all of our questions and were awesome with advice.” says Pheonix. “I had been using Ableton for quite a while, but felt like I needed something other than online tutorials to give me an extra push and round off my skill-set. Whilst I learnt a lot on my own over the past few years, having someone teach me all the ins and outs of Ableton and sound design helped so much, and just putting myself in that environment is what pushed me to produce day in day out. It also helps to be able to ask the lecturers questions and get a direct response immediately.” says artist alumni lusyv, who travelled from Adelaide to complete the intensive course. The unique structure of this course also means that although you’ll be moving through concepts at a fast pace in class, you have a whole year to fine-tune your course projects and revisit lesson information online. This gives you and your skills plenty of time to breathe, and you the chance to commit everything to memory through consistent practice over a longer period. You’ll also never feel personally challenged or pressured by your Liveschool trainers. They’ll give you knowledge and inspiration that will push your motivation through the roof, until you’re ready to challenge yourself. You’ll have the chance to share ideas, build friendships, and get all your questions answered by like-minded creatives. Here’s what your first week in Produce Music Intensive will look like. 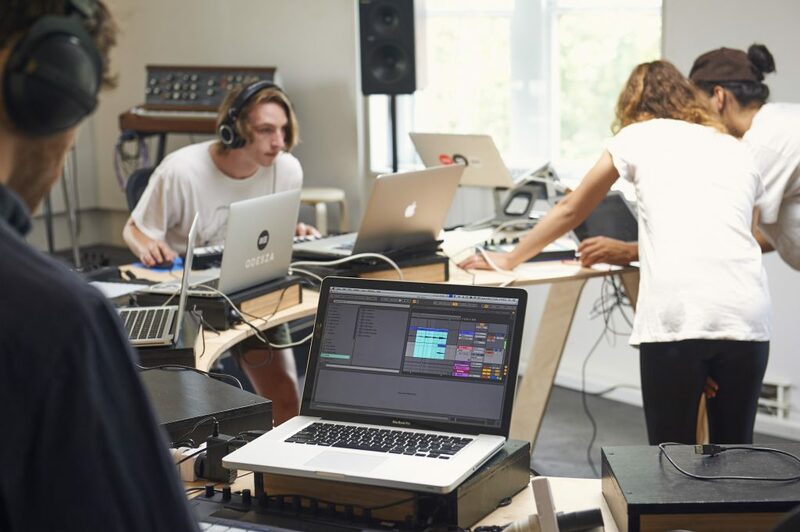 Your first week starts off with the module, ‘Begin’, which introduces Ableton as a DAW (digital audio workstation), and walks you through its main features. 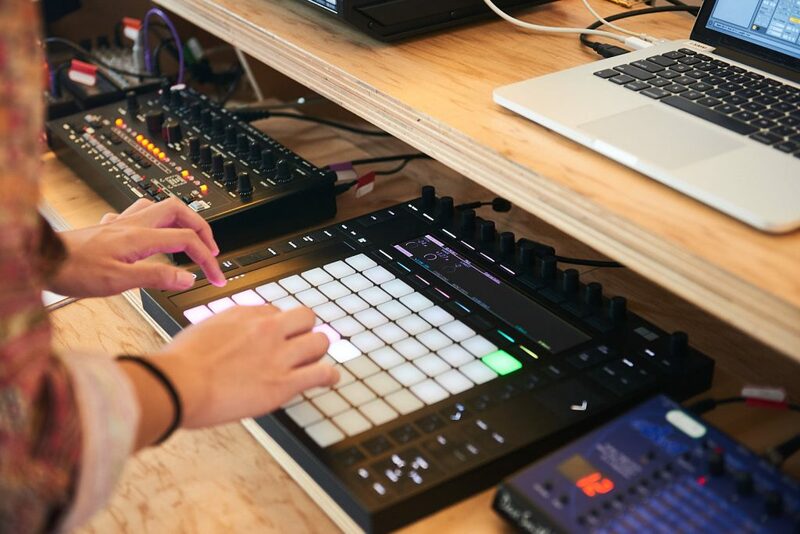 After completing the Begin module, the course dives into remixing, editing and warping techniques, where you’ll work with existing sounds to turn into your own sounds. The best thing about the course structure is that you’re learning essential Ableton workflows and techniques in a hands-on, fun way. 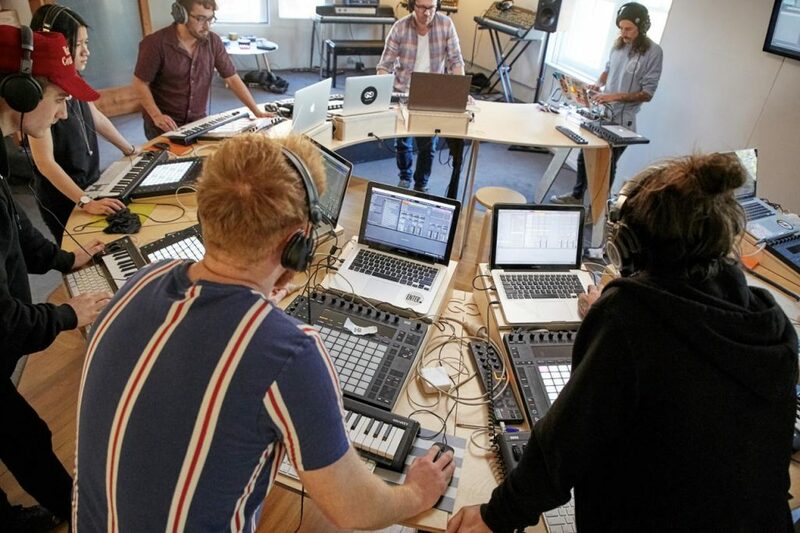 After easing students into the world of Ableton, from there on, the focus moves onto writing and producing your own original music – through sound design, synthesis, music theory, arrangement, and more. Besides the knowledge and technical experience you’ll gain, there’s plenty about the Liveschool experience to look forward to beyond that. We work to create a friendly, welcoming environment throughout each and every course, hallmarked by our Friday jam/listening sessions. Students are free to come in, jam, produce, or speak to the trainers about what you’re working on. You might be on a university break while you complete the intensive course, but don’t expect your Liveschool homework to feel anything like your uni coursework. Pheonix says that this factor made a major difference in keeping up his learning intake. “The format of the course was mostly project-based learning, which I found super enjoyable. I think having activities/projects to work on at home helped me stay engaged throughout.” says Pheonix. “For each of the 6 modules that we deliver, you are assigned one project, and you have up to a year to submit all six. At the end of each module you’re quite simply told to make a piece of original music or in some cases a mix/remix,” says Nadine. “The creative decisions are left up to you – so you can pick the style or genre, the tempo, and the sounds. This is how our students start to form their own unique sound. We give you up to one month per project to work on your music, which you submit to your mentor who gives you video feedback based on what they hear. As you learn more, you do more projects, your tracks move further towards being release-ready, and your mentor is there to guide you through that process,” Nadine continues. 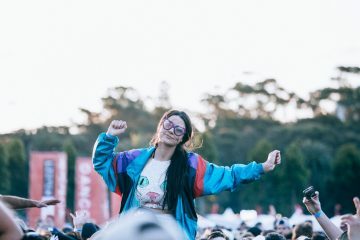 There are some things you just can’t learn from a user manual or online tutorial – things like building a network with both established and developing artists, or getting tips on how to navigate the Australian music scene. “The most enjoyable part of the course for me was connecting and sharing creative ideas with my classmates and the Liveschool family. It was also awesome to spend some free time in the classrooms recording and experimenting with all of the gear! The hands-on learning approach and the relevance of Liveschool’s course content in the modern production environment really puts their courses a cut above the rest.” says Pheonix. After spending 6 weeks straight in Ableton, putting theory into practice, you’re guaranteed to get a whole lot more confident in both the program. You’ll gain trust in your ability to flex your creative muscles on demand. “Since finishing the course the improvement I have noticed the most is the speed of my workflow. I feel like I know the software much more comprehensively and I can get my creative ideas down in much less time. However, the lesson I gained the most knowledge from would have to be the sound design. Having the skills to be able to create the sounds I can hear in my head has really freed up my production process.” continues Pheonix. “Being surrounded by other students who share the same passion, and the tutors who were producers themselves – it pushed me to keep making music. There were a lot of things I learnt that sped up my workflow and being there every day I was constantly exposed to new and exciting topics.” says lusyv. 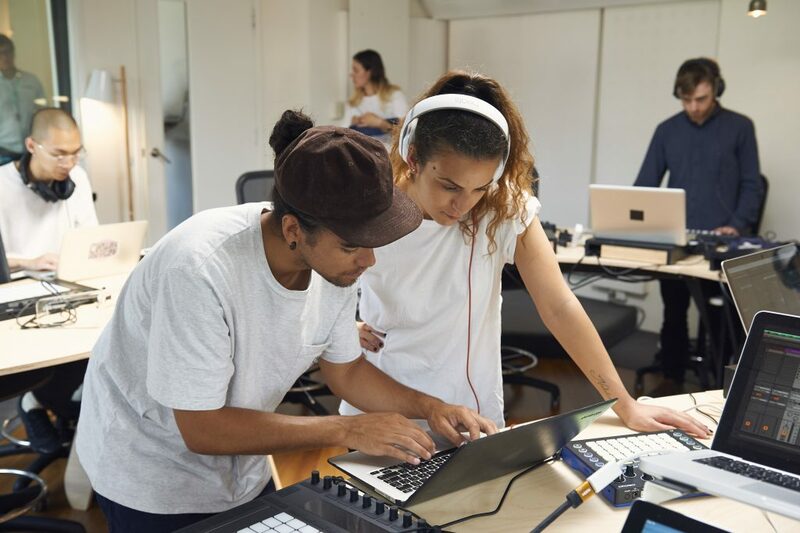 And from the words of a trainer, there’s one core factor that sets Liveschool apart from any other music production program – its focus on artist development. 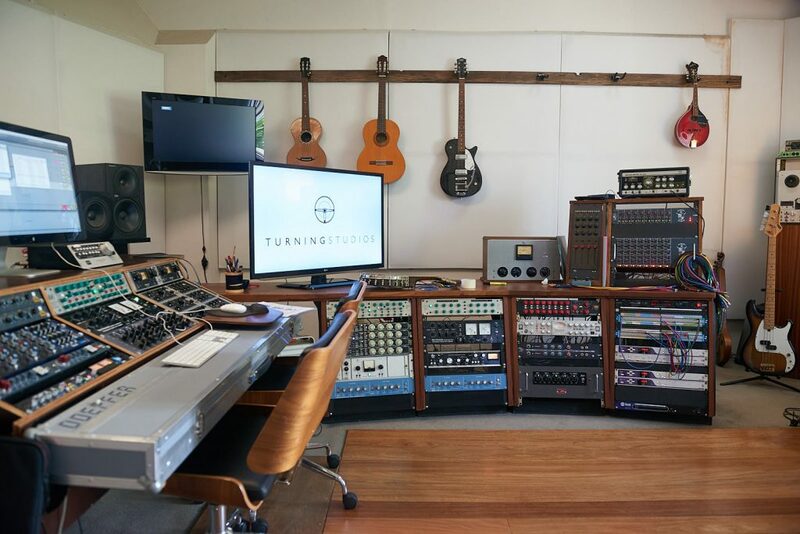 “Hands down, we’ve built our curriculum and our team around this concept and it sets us apart from any other way of learning music production.” says Nadine. “Our trainers are all gun producers – they’re releasing music that’s charting both locally and internationally, playing festivals, and they know the industry like the back of their hand. When they take on a class, they’re not teaching from a textbook – they’re teaching from an artist’s perspective, which means all the info is modern and meaningful.” she continues. 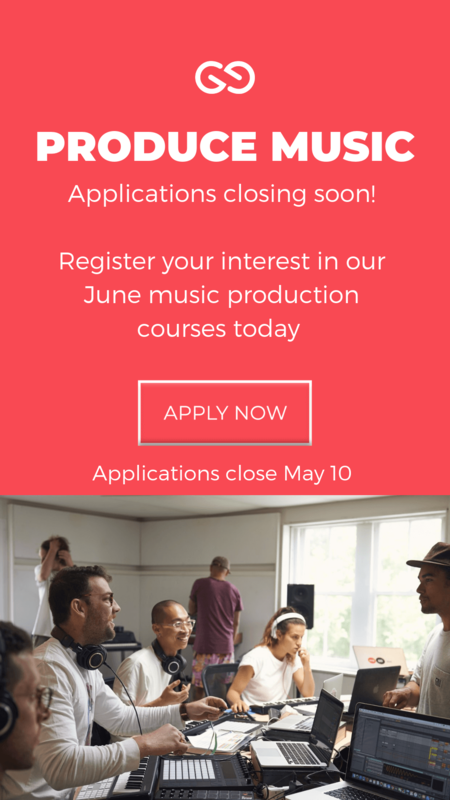 The AM session for this summers’ Produce Music intensive stream has already sold out, but you can still get your name down for one of the few-remaining afternoon spots. Enrolment applications close soon, and with only 9 spaces per class, you’ll need to get in quick! Apply now and learn more about this life changing course right here.